Parker Locksmith Store gets numerous calls from people that need help with broken keys stuck in their locks. Keys - made of metal as they are - become weak as time goes by, especially if they are used a lot. They can be damaged or broken by accident, incorrect use, heavy use, or just regular wear and tear. When a key breaks inside a lock, it can damage the lock’s mechanism. 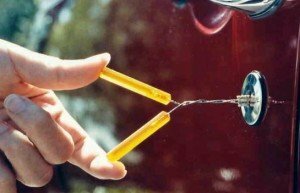 If you attempt to extract the key from the lock without the right tools, you could end up damaging the lock or your door itself. It’s always better – and easier – if you contact a professional for help if your key broke in the lock. Parker Locksmith Store is a reliable local locksmith in Mabelvale, AR that offers a comprehensive range of locksmithing services. 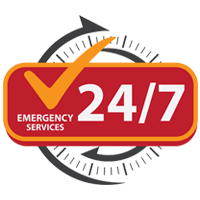 Our locksmiths provide reliable broken key extraction services to the local community. All keys have structural weak points, like long grooves and other indentations that allow it to fit into a lock’s mechanisms like a puzzle piece and then turn it. After a certain time has passed, the key is prone to snap along these indentations. If the material that goes into making the key is low-grade, then the key won’t last for very long. Parker Locksmith Store always uses high-grade materials for your keys. If you’ve gotten keys made from an inexperienced locksmith, they may not be designed correctly. Such keys could break quicker than normal keys. If you drop your key on the ground a lot, or if your kids play with it, chances are it will have a short life-span. Forceful use – using too much pressure to turn the key in the lock – may also damage it. You can contact Parker Locksmith Store if your key has broken inside a lock for immediate assistance. We can extract keys from all sorts of locks, including the lock on your home, your commercial property, or your car. It takes us less than 30 minutes, most of the times, to reach your location and then a few minutes after that to extract the key. Has a key gone and broke in your lock? Call Parker Locksmith Store for assistance on 501-372-6600!